Luxury entry level! enlightening! New for 2015 Pinarello Razha now incorporates the Think2 system for mechanical and electronic cable routing as well as being available in more size increments to ensure the perfect fit. 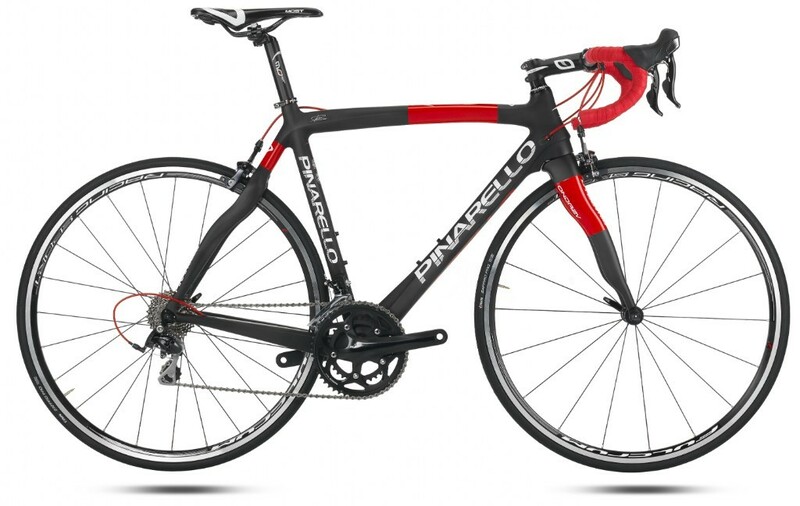 Pinarello Razha is a full carbon frame, perfect for long distance riders, amateurs and future champions. Asymmetrical monocoque frame, powerful and rigid, the downtube is massive and the bottom bracket, the true heart and fulcrum of this triangle, will be unyielding to the power you unleash when you stand on the pedals. Onda fork and rear stay with a tapered1 1/8” – 1 ½” drop-in bearing system to guide safely along every curve.